CHARLEY PRIDE-AMAZING LOVE, COUNTRY FEELIN’, PRIDE OF AMERICA AND CHARLEY. By the time Charley Pride released Amazing Love in October 1973, he was one of the biggest names in country music. Eleven of Charley’s albums had been certified gold, and his last thirteen albums had reached the top ten in the US Country charts. Seven of these albums topped the US Country charts. Charley Pride had come a long way from the days when he was working in a smelter. The only problem was, that no longer were Charley’s albums reaching the upper reaches of the lucrative US Billboard charts. The seventies had started so well for Charley Pride. His first albums of the seventies, Just Plain Charley was released in January 1970, and reached twenty-two in the US Billboard 200. This resulted in another gold disc for Charley. So did Charley Pride’s 10th Album which was released in June 1970. It reached number thirty in the US Billboard 200 and number one in the US Country charts. Charley’s rich vein of form continued with From Me to You. On its release in December 1970, it reached just forty-two in the US Billboard 200 and number two in the US Billboard 200. Charley Pride, it seemed, could do no wrong. When I‘m Just Me was released in June 1971, Charley enjoyed his third number one album on the US Country charts. However, I‘m Just Me stalled at just number fifty on the US Billboard 200. There was no gold disc this time around. The only small crumb of comfort was I‘m Just Me reached number two in Canada. Meanwhile, executives at RCA Victor must have noticed that Charley’s last two albums hadn’t sold as well as his first three albums of the seventies. They must have hoped it was a blip. Four months later, Charley Pride Sings Heart Songs was released in October 1971. The album reached number thirty-eight in the US Billboard 200 and topped the US Country charts. This resulted in another gold disc for Charley. Normal service had been resumed. Especially when Charley’s first gospel album Did You Think to Pray reached number seventy-six in the US Billboard 200 and reached number one on the US Country charts. This was enough for another gold disc. 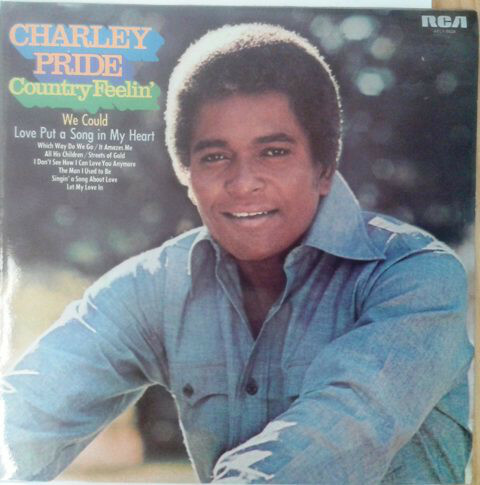 Although Charley’s first gospel album hadn’t reached the heights of Charley Pride Sings Heart Songs in the US Billboard 200, it was deemed a success. It seemed I’m Just Me had been a blip. The success continued when RCA Victor decided to release The Best of Charley Pride Volume 2 during the first half of 1972. It reached fifty on the US Billboard 200 and topped the US Country chars. Charley received another gold disc to add to his collection. Later in 1972, Charley released a new country albums. Nine months after the release of his previous country album, Charley released A Sunshiny Day with Charley Pride in July 1972. While it reached number one on the US Country charts, the album stalled at 115 in the US Billboard 200. This made A Sunshine Day With Charley his least successful album since Songs of Pride…Charley That Is in July 1972. Maybe it was a blip? That was what Charley and everyone at RCA Victor were hoping. Songs of Love by Charley Pride was released in December 1972, but stalled at a lowly 149 in the US Billboard 200. However, the album still topped the US Country charts. Charley was still a giant of country music. When Charley released Sweet Country in April 1973, the album reached just 166 in the US Billboard 200. At least Sweet Country reached number three in the US Country charts. Charley was still a massive draw in country circles. However, it seemed that he didn’t have the same crossover appeal he once had. So Charley set out to rectify this on Amazing Love, which is one of four albums reissued on a two disc set by BGO Records. The remastered set covers the period between Amazing Love which was released in October 1973, through Country Feelin’, Pride of America and Charley in May 1975. Would Charley’s search for crossover appeal prove successful? Six months after the release of Sweet Country, Charley returned with Amazing Love in October 1973. It featured ten carefully selected tracks that hopefully, would appeal to more than fans of country music. Among the tracks that featured on Amazing Love, were Allen Reynolds and Don Williams’ If She Helps Me (Get Over You). Two songs by John Schemers, who was then one of the top songwriters in country music. He had written several tracks for Charley. This time around, he had written I’m Only Losin’ Everything I Threw Away and Amazing Love. Two songwriters who had previously written songs for Charley contributed songs. Ben Peters wrote I’m Glad It Was You, and James Bullington penned Comin’ Down With Love. Other songs included Al Urban’s Old Photographs, Jerry McBee’s Footprints In The Sands Of Time, Jim Lunsford’s Blue Ridge Mountains Turnin’ Green and Charles Isbell and Joe Keene’s I’ve Just Found Another Reason For Loving You. The song that would close Amazing Love was Glenn D. Tubb and Larry Lee Mr. Joe Henry’s Hand Clappin’ Open Air Rhythm Band. Just like the rest of Amazing Love, it was recorded in Nashville. As usual, recording took place at RCA’s Nashville Sound Studio. Producing Amazing Love was Charley’s usual producer Jack Clement. However, he was joined by Felton Jarvis, who co-produced Amazing Love. It featured some of Nashville’s top musicians, who accompanied Charley on the ten tracks. Once they were recorded, Amazing Love was scheduled for release in October 1973. Before the release of Amazing Love, critics had their say on the album. Amazing Love was well received within the country music community. Charley Pride had returned with an album carefully crafted songs. These ten songs showcased his talent and versatility. Bookending Amazing Love were two memorable mid tempo tracks, Comin’ Down With Love and Mr Joe Henry’s Happy Hand-Clappin’Open Air Rhythm Band. Blue Ridge Mountains, a banjo lead song featured a much more traditional sound, and shows another side to Charley. However, some of his best performances come on the relationship songs. Charley breathes life and meaning into the lyrics to If She Just Helps Me (Get Over You) and I’m Glad It Was You. It’s a similar case on the piano lead songs, I’ve Just Found Reason For Loving You and I’m Only Losin’ Everything I Threw Away Old Photographs. They’re a reminder of why Charley Pride was one of the biggest names in country music. So was the album’s standout track, Amazing Love. The title-track was chosen as a single, and went on to top the country charts in America and Canada. This augured well for the release of Amazing Love. When Amazing Love was released in October 1973, the album gave Charley Pride another number one on US Billboard Country charts. This was twelfth number one of Charley Pride’s career. However, the album failed to chart in the US Billboard 200. This was hugely disappointing. So was that Charley Pride had released another album, and still there was no sign of another gold disc. The last gold disc Charley Pride received for a studio album came for Charley Pride Sings Heart Songs, which had been released in October 1971. Since then, only The Best of Charley Pride Volume 2, which was released in 1972, had been certified gold. While that was only two years ago, Charley Pride must have been worried. After all, he was no longer selling the same amount of albums. The problem was, nowadays, most of Charley Pride’s audience were country music fans. Previously, his music had crossed-over, and found an audience within mainstream music. Maybe this would change? Buoyed by a number one single and album in the US Country charts, Charley began work on his next album Country Feelin’. Ten tracks were chosen, including some from some of Charley’s favourite songwriters. They had written songs for Charley’s previous albums. This included Ben Peters, who wrote Singin’ a Song About Love and Love Put A Song In My Heart. Among the other familiar faces were Jim Lunsford who wrote Streets of Gold; Allan and Marilyn Bergman contributed All His Children; Felice Bryant wrote We Could and Don Williams and Allen Reynolds cowrote It Amazes Me. Allen Bryant also wrote It Amazes Me with Wayland Holyfield. Other tracks included John Riggs’ Let My Love In, and the Max D. Barnes penned The Man I Used to Be. He wrote I Don’t See How I Can Love You Anymore with Maria Houston. Those songs became Country Feelin’, which was recorded in Nashville. Recording took place at RCA’s Nashville Sound Studio. Producing Amazing Love was Charley’s usual producer Jack Clement. This time, there was no song of Felton Jarvis, who had co-produced Amazing Love. Joining Charley and Jack Clement were some of the top session musicians in Nashville. They were by The Nashville Edition, who added backing vocals on Country Feelin’. Gradually, the album took shape and once it was complete, RCA Victor started working towards a release date. Country Feelin’ was scheduled for release in May 1974. Before that, critics had their say on Charley’s latest album. Critics were impressed by Country Feelin’, and called it one of his best albums of recent years. Just like Amazing Love, Country Feelin’ featured a selection of very different tracks. The album opener, Which Way Do We Go has a much more traditional sound. This tale of love gone wrong whets the listener’s appetite for the rest of Country Feelin’. We Could is a quite beautiful, hopeful ballad that’s one of Country Feelin’s highlights. All His Children is another ballad, but one that’s roots are in the church. It would’ve sat comfortable on anther of Charley’s gospel albums. Street Of Gold features a reflective Charley; while I Don’t See How I Can Love You Anymore is another tale of love gone wrong. Singin’ A Song About Love is a joyous, mid tempo track. The Man I Used To Be is a hopeful sounding song; while Let My Love In features a needy vocal from Charley. Love Put A Song In My Heart, which closes Country Feelin’, is a joyous tale of new love. Country Feelin’ was an emotional roller coaster, which critics thought would sell well. Alas, when Charley Pride released Country Feelin’ in May 1974, it stalled at number fifteen in the US Billboard Country charts. This was Charley Pride’s least successful album since The Pride of Country Music in June 1967. To make matters worse, Country Feelin’ became Charley Pride’s second consecutive album not to trouble the US Billboard 200. However, the Charley Pride bubble hadn’t burst. We Could was chosen as a single from Country Feelin’. It reached number three in the US Billboard Country charts, and reached number one in the Canadian Country charts. This was a small crumb of comfort for Charley Pride and everyone at RCA Victor. Six months later, Charley Pride returned back with a new album, Pride Of America in November 1974. By then, much had changed for Charley in an attempt to get him back to the top of the US Country charts. One noticeable change was than Pride Of America didn’t feature songs by some of Charley’s favourite songwriters. There were not tracks from the ever reliable Ben Peters. Neither Jim Lunsford nor the songwriting team of Allan and Marilyn Bergman featured. However, John Schweers contributed Completely Helpless. Johnny Duncan wrote Mary Go Round and That Was Forever Ago. Red Stegall wrote The Hard Times Will Be The Best Time, Bobby P. Barker penned She Loves Me The Way That I Love You and Rod Morris contributed North Wind. Geoffrey Morgan and Kent Robb cowrote I Still Can’t Leave Your Memory Alone; while Paul Huffman, Joane Keller and Bucky Jones wrote Thorns of Life. Harold Dorman and Wiley Gann wrote Mississippi Cotton Picking Delta Town for Charley. It was semi-autobiographical, and would prove to be an important song for Charley. So would A.L. “Doodle” Owens and Dallas Frazier’s Then Who Am I, which like the rest of Pride Of America, was recorded in Nashville. This time around, Charley’s usual producer Jack Clement had been replaced by Jerry Bradley. Despite this, when the sessions began at Nashville Sound” Studios, Charley was accompanied by a tight, talented band of top session players on Pride Of America. Once it was finished, it was released in November 1974. Prior to the release of Pride Of America, critics cast their eye over the album. Opening Pride Of America was the ballad Than Who Am I, a tale of hurt and betrayal. So is Helpless, another soul-baring ballad. The balladry continued on I Still Can’t Leave Your Memory Alone, which is a tale of hurt and heartbreak. Charley then becomes a storyteller on the cinematic sounding The Hard Times Will Be The Best Times, and the semi-autobiographical Mississippi Cotton Picking Delta Town. It would strike a nerve with American record buyers when it was released as a single. For much of the remainder of Pride Of America, Charley returns to balladry is a series of relationship songs. This is something he does so well. She Love Me The Way That I love You finds grief gives way to new love. It’s a poignant song, whose lyrics Charley brings to life. Equally poignant is That Was Forever Ago, another ballad about the end of a relationship. Thorns Of Life features a heartfelt vocal on this paean. North Wind which closes Pride Of America, is a jaunty ballad, rich in imagery, mystery and emotion. Pride Of America was well received by critics. Things were looking good for Charley Pride. When Pride Of America was released in November 1974, it reached number five on the US Billboard Country charts. This was an improvement on Country Feelin’. However, Pride Of America was the third consecutive Charley Pride album that failed to enter the US Billboard 200. At least the singles fared better. 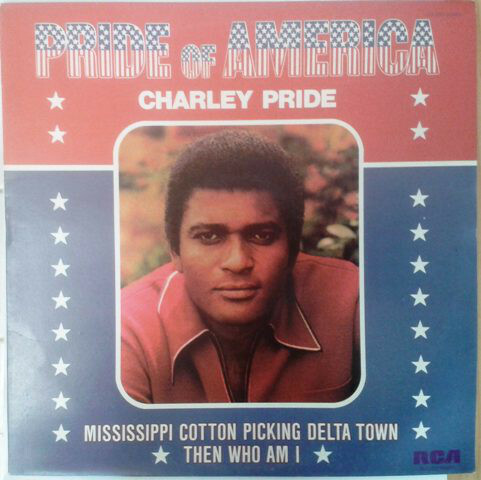 Mississippi Cotton Picking Delta Town was chosen as the lead single from Pride Of America. When it was released in late 1974, not only did it reach number three on the US Country charts, but number seventy on the US Billboard 100. This was Charley’s most successful single on the US Billboard 100 since Kiss an Angel Good Mornin’ in 1971. Across the border, Mississippi Cotton Picking Delta Town reached number one on the Canadian country charts. The second single released from Pride Of America, was Then Who Am I. It reached number one in the American and Canadian country charts. For Charley, it was his fourteenth number one single on the country chart. Charley Pride was still one of the biggest names in country music. 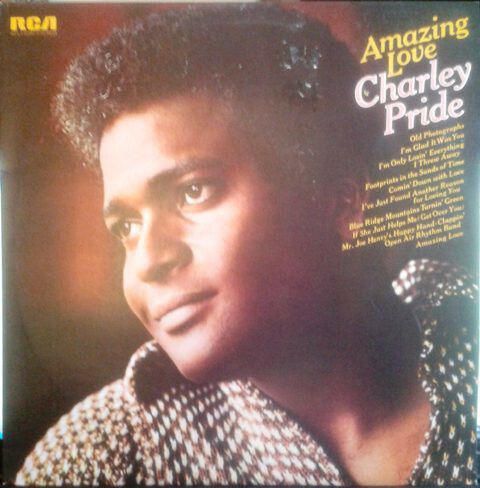 Following the success of Pride Of America, RCA Victor didn’t waste time releasing another Charley Pride album. Charley was released in May 1975, and featured ten songs that had been recorded in Nashville. This included Johnny Duncan’s Fools and I Ain’t All Bad. A.L. “Doodle” Owens and Dallas Frazier who had written Then Who Am I for Pride Of America, wrote She’s As Close As I Can Get To Loving You. Hope You’re Feelin’ Me (Like I’m Feelin’ You) came from the pen of Bobby David and Jimmy Rushing. He also wrote Lovin’ Understandin’ Man. The Grindelle, Gibbons and Hatch songwriting team penned Searching For The Morning Sun; while the Foster and Rice partnership were responsible for Now and Then. The other trace on Charley were The Hardest Part Of Livin’s Loving Me, One Mile More and You’re The Woman Behind Everything. They were recorded in the familiar surroundings of Nashville Sound Studios, Nashville. Jack Clement returned to produce Charley. This was the second album he had produced with Charley Pride. Their first album, had featured two hit singles. It was the perfect start to their partnership. With a band that featured some top session musicians accompanying Charley, he recorded ten tracks at Nashville Sound Studios. They became Charley. When the album was complete, it was scheduled for release in May 1975. Before Charley was released, critics had their say on the followup to Pride Of America. Again, ballads were to the fore on Charley. The understated ballad Hope You’re Feelin’ Me (Like I’m Feelin ’You) opened the album. It features a vocal full of heartbreak and hurt. Searching For The Morning Sun is cinematic ballad, where Charley paints pictures with his vocal. Then on The Hardest Part Of Livin’s Loving Me and Now And Me, Charley delivers emotive vocals. They’re a reminder that balladry is something Charley excels at. Fools is a tale of love gone wrong, where pizzicato strings accompany Charley as he calls time on his failing relationship. Charley then delivers a hopeful vocal on I Ain’t All Bad; and a rueful, lovelorn vocal on She’s As Close As I Can Get To Loving You. Lovin’ Understandin’ Man which closes Charley, features a much more traditional sound on this heartfelt paean. It closes another album of carefully crafted songs. Critics were won over by Charley, which received mostly positive reviews. Things were looking good as Charley was released in May 1975. Charley was released in May 1975, and reached number five in the US Country charts. For Charley Pride it was one step forward, and one step back. Charley hadn’t quite matched the success of its predecessor Pride Of America. Still Charley Pride was no closer to reconquering the US Billboard 200. However, again, Charley enjoyed two hit singles. The first was I Ain’t All Bad, which reached number six in the US Country charts, but stalled at 101 in the US Billboard 100. Across the border in Canada, I Ain’t All Bad reached number. By then, Charley Pride had a large following in Canada. So when Hope You’re Feelin’ Me (Like I’m Feelin’ You) was released as a single, it reached number two in the Canadian Country charts and number one in the US Country charts. This was Charley’s fifteenth number one single in the US Country charts. However, it must have almost felt like a Pyrrhic victory. While Hope You’re Feelin’ Me (Like I’m Feelin’ You) topped the US Country charts, it failed to even trouble the US Billboard 100. It had been situation with Charley. While it reached number fife in the US Country charts, it never came close to troubling the US Billboard 200. That was becoming a familiar story. Charley Pride’s last album to enter the US Billboard 200 was Sweet Country in April 1973. Even then, it stalled at just 166 in the US Billboard 200. Since then, Amazing Love which was released in October 1973, Country Feelin’, Pride of America and Charley which was relaxed in May 1975 all failed to enter the US Billboard 200. It was a disappointing period for Charley Pride. That’s despite the four albums featuring three number one singles in the US Country charts. However, reaching the upper reaches, or even topping the US Country charts wasn’t enough to see Charley Pride enjoy the commercial success he once had. Between January 1969 and April 1973, eleven of Charley’s albums had been certified gold. During that period, thirteen of Charley’s albums had reached the top ten in the US Country charts. Seven of these albums topped the US Country charts. Only Amazing Love added to that number. Amazing Love is one of four albums to feature on a two disc set recently reissued by BGO Records. The remastered set includes Amazing Love Country Feelin’, Pride of America and Charley. Although these albums didn’t match the commercial success of Charley Pride’s earlier albums, they feature a true giant of country music at the peak of his powers. These four albums are hugely underrated, and deserve to be rediscovered by a much wider audience. During the period, Charley Pride was still one of the biggest names in country music. Sadly, Charley Pride’s albums never again sold in the same quantities. 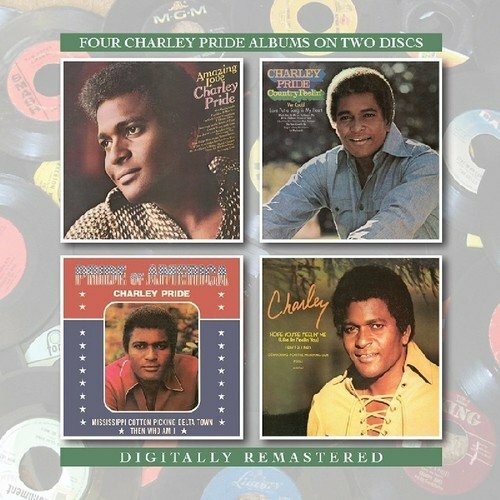 It was across the border in Canada, where Charley Pride enjoyed two more gold discs and where The Best of Charley Pride Volume 3 was certified four times platinum in 1976. Since then, Charley Pride has continued to tour and release albums. While the number albums and gold discs seemed to have dried up, Charley Pride had grown and matured as an artist. Lyrics come to life, as Charley Pride doesn’t so much sing them, but live them. His delivery is heartfelt, emotive and impassioned. It’s country music at his best. That’s not surprising, as Charley Pride is country music royalty. Nowadays, Charley Pride is still regarded as country music royalty. He’s enjoyed thirty-nine number one singles on the US Billboard Country charts, and sold over seventy-million albums. Still, Charley Pride is RCA Victor’s second biggest selling artist of all time. Indeed, the only artist to have outsold Charley Pride at RCA Victor, is Elvis Presley. The boy from Sledge, Mississippi, who once dreamt of becoming a baseball player has come a long way, and nowadays, is the living embodiment of the American Dream. Patience and persistence paid off for Charley Pride, who is still living the dream. ← VAN HALEN-THE DAVID LEE ROTH YEARS AND BEYOND.